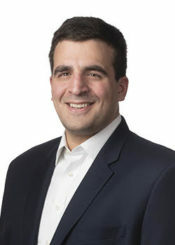 Josh is currently a Senior Associate at Westwicke in the Baltimore office, having joined the Life Sciences team in March 2019. He supports senior team members through in-depth research and data analysis. His daily responsibilities include maintaining and updating the firm’s proprietary software and databases, preparing quarterly shareholder reports and institutional account profiles, and tracking and analyzing trends in the biotechnology and pharmaceutical sectors. Prior to joining Westwicke, Josh worked at Morgan Stanley where he supported the Foreign Exchange Trading Desk. Josh holds a B.A. in Business, Organizations and Society from Franklin and Marshall College and lives in Baltimore, Maryland.